Snow Flower and the Secret Fan [Three Things Thursday] – my books. my life. 1. Lily and Snow Flower are bound together as lifelong friends (“laotong“) in 19th-century China. They communicate through the secret language of nu shu, a language just for women. Snow Flower and the Secret Fan follows the two through their life. 2. There was so much emotion packed into this book. Lily and Snow Flower go through so much in this book, both together and on their own. See did a wonderful job of making you feel it. 3. It was very interesting to see into the world of 19th-century Chinese women. The foot-binding (this was a tough part to get through), the arranged marriages, the struggles within those marriages, and the lack of control they had over their own lives. 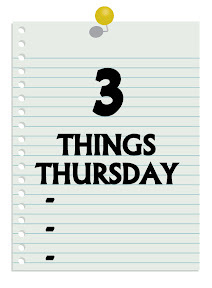 Three Things Thursday is a new weekly feature where I review books I read prior to blogging by sharing just three things about them. Ohhh I loved this book!! 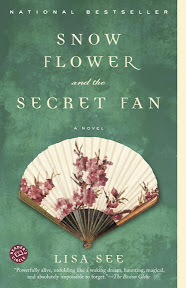 I loved this book but my favorite of Ms. See’s is Peony in Love. The book transported me to a different place and time. Shanghai Girls was excellent as well and I look forward to reading the sequel Dreams of Joy. I loved PEONY IN LOVE, too. Possibly more than this one. Still need to read SHANGHAI GIRLS. I have Shanghai Girls on my shelves. No idea why I haven’t read it yet, since it seems like everybody on earth who has read See has loved her. i read this book a couple of years back and LOVED it! books set in historic asia are so interesting! I have this book on my shelf and really want to make time to read it. Have you heard anything about her new one? Nice review, Michelle! I haven’t read any of See’s books yet, but it looks like she is a fascinating writer.